The comic book movie genre may have been born in the 70s with Superman and nurtured by 1989’s Batman, but 2002’s Spider-Man was the film that signaled its true potential. In the past ten years superheroes have graced the silver screen with incredible frequency making billions for a creatively bankrupt Hollywood along the way. As the genre evolved, 2005’s Batman Begins gave Hollywood an incredible gift: the reboot. Did the last flick not pan out? Is your franchise too expensive to maintain? Are the fans growing restless? A reboot can solve all those problems. Sony hoped to solve a major problem by rebooting Spider-Man: high production costs. Another entry directed by Sam Raimi was in production for weeks before Sony execs pulled the plug. The film would have been remarkably expensive, some estimating a $400 million price tag. An $80 million dollar reboot with less expensive talent was certainly appealing. And make no mistake, Sony has no choice but to make Spider-Man movies. If they go a few years without letting Spidey swing onto the screen, the rights revert back to the open arms of Marvel, a company itching to get their flagship character back under their roof. With that in mind it’s hard to see The Amazing Spider-Man as nothing more than a cheap retread made for pure financial gain. Sony has dared to step on the toes of a film series that many consider to be essential works of 21st Century pop culture. How could this reboot born out of greed and litigation possibly compete? The answer, my friends, is Andrew Garfield. There are some major problems in The Amazing Spider-Man, and I’ll get to them shortly, but I want it on the record that Andrew Garfield is not just a great Peter Parker but a terrific Spider-Man as well. The film’s spine is Parker’s emergence of confidence, and Garfield puts a lot of thought and care into how each building block is placed on top of the others. The Parker of Amazing goes through an emotional gamut and Garfield pulls it all off without a hitch. I may not love The Amazing Spider-Man, but I love Andrew Garfield in this role. Which makes it a real shame that the actual story The Amazing Spider-Man wants to tell falls flat. The film has three credited screenwriters, and coincidentally three major stories: Peter getting his powers, the Peter Parker/Gwen Stacy/Captain Stacy arc from the comics, and the birth of the Lizard. There are good moments in all of these stories, but none of them mesh particularly well together. What’s most frustrating is that given the right amount of breathing room this film would have been able to handle them all and make it to the other side in one piece. But the pacing is constantly off, making for a drastically uneven picture. So let’s put this on front street: rumors have been swirling since late spring that execs weren’t happy with The Amazing Spider-Man, and this final film feels like a studio head got a pair of scissor and started cutting it up like crazy. Director Marc Webb wanted to make a sweet coming of age romance while Sony wanted a franchise starter with the grit of Dark Knight, and neither party got what they wanted. Worst of all, the “untold story” that the marketing hinted at is a stillborn plotpoint here, with major confrontations depicted in trailers and promotional stills absent from the final piece. The Amazing Spider-Man is a mess, the frustrating kind that could have easily been avoided if Sony had trusted the director they hired. I get the feeling there’ll be an incredible book about Marc Webb’s confrontations with Sony on this film a few years from now. Webb handles the material well, proving himself a competent director that’s probably better with actors and less adept at action. There’s some great character moments and smart bits of physical humor, but nothing comes close to the birth of the Sandman or the rise of Doc Ock, let alone the iconic upside down kiss in the rain. These are admittedly hard moments to beat, but The Amazing Spider-Man doesn’t even seem to try. So what is The Amazing Spider-Man? I see the film as a business decision by a studio that made the mistake of hiring a director who actually gave a damn. Sony’s got a great cast in place for the inevitable sequel, so I’ll keep my fingers crossed that this stumble out of the gate will eventually turn into something worthwhile. But as of now, Spider-Man is in deep trouble, and I can’t recommend The Amazing Spider-Man as anything more than a rental. 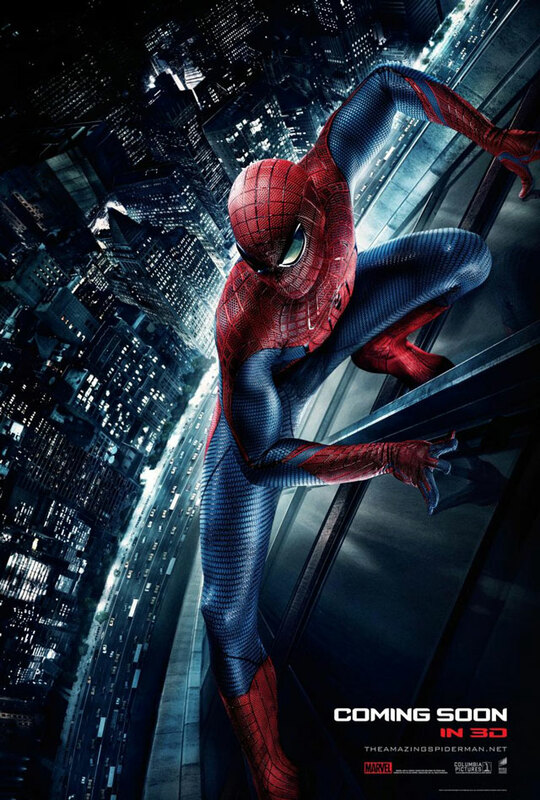 The Amazing Spider-Man is in theaters and IMAX right now. Comments for Review: “The Amazing Spider-Man” Is Corporate Film Making At Its Worst are now closed.